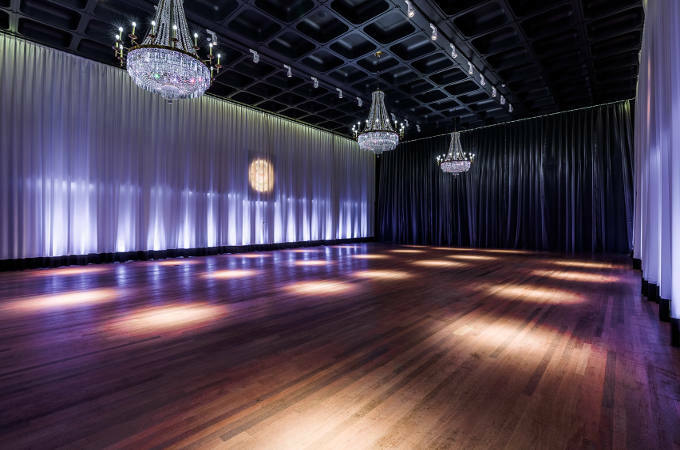 A stunning new space is now available at London’s Glaziers Hall, the only Livery Hall located south of the Thames. The building itself is a former dockside warehouse dating from the early 19th century – a true Grade II listed gem in the heart of London on the banks of the River Thames. Situated just a stone’s throw from Borough Market and a few minutes’ walk from London Bridge Station, Glaziers Hall not only offers the most convenient London location, the venue is has spectacular views across the River Thames and the City of London – surely the perfect London setting for any event. 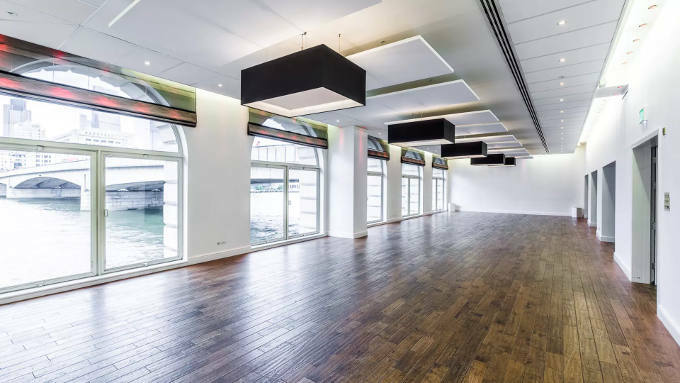 London Bridge Arches is the newly created event space at Glaziers Hall. 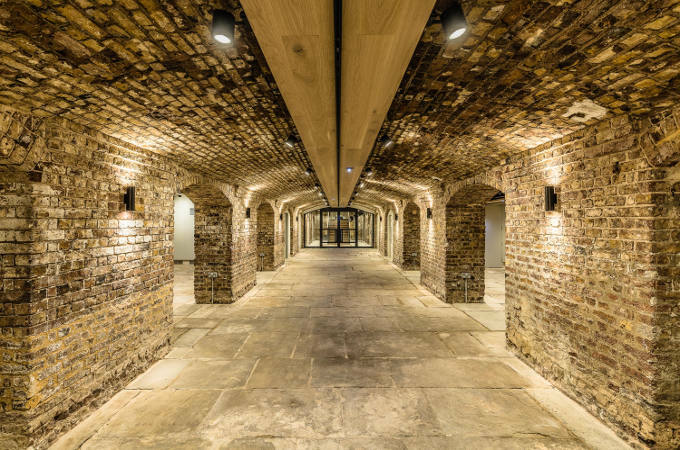 It features 3 exposed and restored Georgian brick arches, original York stone flooring and a bespoke wine cellar dating back to the early 1800s. The design is that of influential engineer John Rennie who came up with a plain 5-span structure to replace the original London Bridge in 1821 which was eventually built under the supervision of Rennie’s sons. Today, the venue offers a heritage backdrop for all kinds of events including wine tastings and dinners, lectures and receptions, and is able to accommodate up to 120 standing guests. There’s a private entrance and reception area if you wish to hire the London Bridge Arches on an exclusive basis. 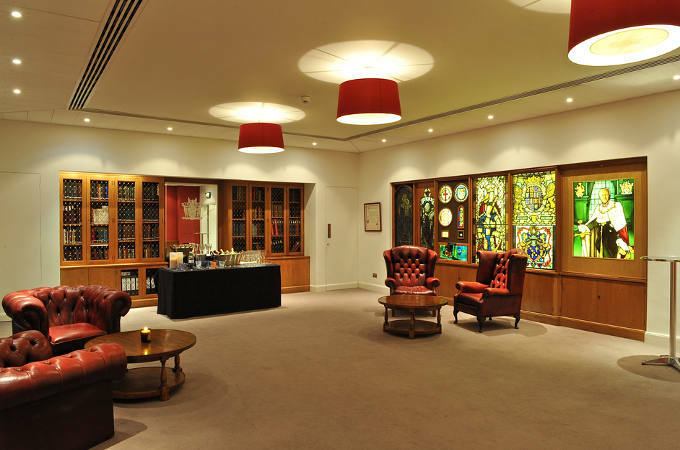 Alternatively, use the area as a breakout space or somewhere to take refreshments as part of a larger event taking place at Glaziers Hall. For your convenience, audio visual equipment is provided and includes projector and screens, lecterns and microphones, a PA system and staging, as well as up to 10MB of fibre optic broadband. 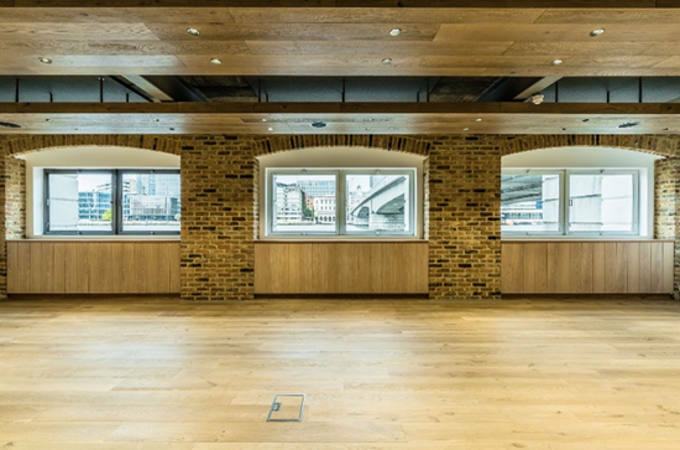 In addition to the London Bridge Arches, Glaziers Hall has 6 other event spaces over 3 interconnected floors – all of which can be hired individually or in combination for maximum flexibility. It’s a fantastic and flexible venue for presentations and meetings, conferences and expos, product showcases and fashion shows, press launches and public events, and much more. The whole venue holds a maximum of 650 guests. A large, versatile space for up to 300 seated or 450 standing reception guests that would make an ideal venue for meetings and private dining events, or conferences and exhibitions. The elegant Banqueting Hall features floor to ceiling draping, LED colour lighting and extensive in-house AV facilities including additional ceiling mounted data projector and projection wall. With panoramic views over the River Thames and beyond towards the City, the River Room features beautiful floor to ceiling glazed arches to make the best of that view. Whether you use the space for a networking lunch or evening reception, the stunning room can cater for 100 seated or 200 standing guests. A traditional room surrounded by oak panelling and feature stained glass windows, the Court Room offers privacy and style for up to 160 conference delegates or panel discussion guests, or as a private dining space for 100. Book it together with the Library as an anteroom to break out. Adjoining the Court Room, the Library with its unrivalled collection of publications on the constitutional crafts of Glaziers Hall, glass painting and scientific instrumentation is an impressive space in its own right, or can be used as a refined anteroom to the Court Room for up to 70 standing guests. Situated directly by the River Thames with wonderful views to match, the Bridge Room can accommodate up to 60 seated guests – perfect for meetings, small conferences, away days and intimate dinners. Why not book this multipurpose space together with the adjoining Thames Room? 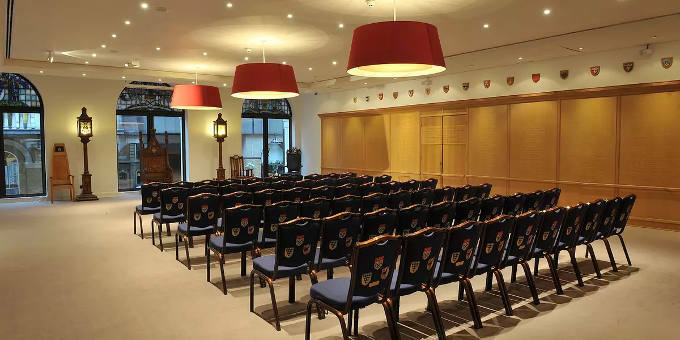 The smallest event space at Glaziers Hall, but with fantastic views over the River and the City of London, the Thames Room can cater for 30 standing reception guests but also works perfectly as a space for networking or as an anteroom for the adjacent Bridge Room. If you need help sourcing or booking the perfect venue for your next London event, Function Fixers can help. Our experienced, professional team of venue finders are a treasure trove of information for all your event needs, plus we can negotiate the best deals for you. To find out more, why not contact us today on 020 7186 8686 or email your enquiry to info@function-fixers.co.uk. We look forward to hearing from you.